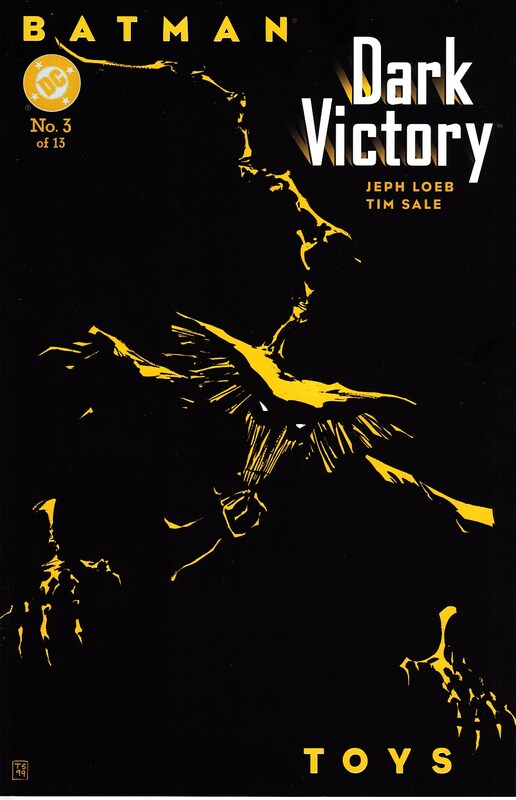 WRITTEN BY JEPH LOEB; ART AND COVER BY TIM SALE. The 13-issue maxiseries reuniting the Eisner Award-winning SUPERMAN FOR ALL SEASONS team of writer Jeph Loeb and artist Tim Sale continues! What do you want for Christmas? If you're living in Gotham City you'll only get one choice if the Scarecrow has his way: a nasty little toy called "The Fear Doll." New nightmares are unleashed on Batman as he faces one of his most dangerous foes all the while the mysterious serial killer who may or may not be Holiday continues unchecked!